Challenging conditions to get outside with a camera in. 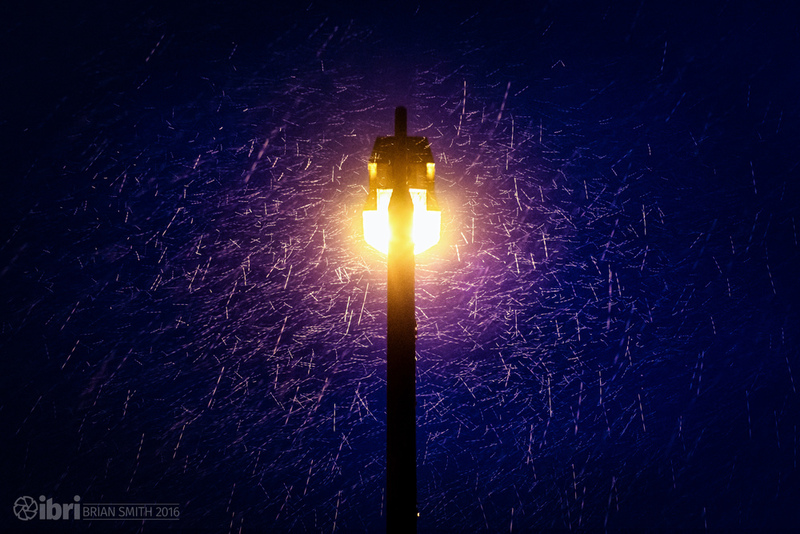 So, contented myself with a quick dash out to catch the rain being buffeted around the street light. Then headed straight back inside again to dry the camera off. Notes: The lens I've used here - Minolta MD Rokkor 50mm 1:1.7 - is one of my favourite legacy lenses on the NEX-7. Shooting in aperture priority mode or fully manual it's a speedy little prime lens that produces some great results. The image is a composite of two separate shots, edited in Lightroom then opened as layers in Photoshop with the top layer's blend mode set to 'lighten'.